You know, the Grinch is kind of cute. Sure, he spends a majority of his time plotting to ruin Christmas, but there’s just something about him that’s adorable. Perhaps it’s the fluffy green fur. Maybe it’s that silly, curling smile that covers his face. Maybe it’s the fact that he wears red, oh so well. Maybe it’s because by the end of the whole Dr. Seuss tale his heart grows three sizes and he ends up becoming a jolly holiday fellow. Whatever it is, we sort of find the Grinch to be a rather endearing character. 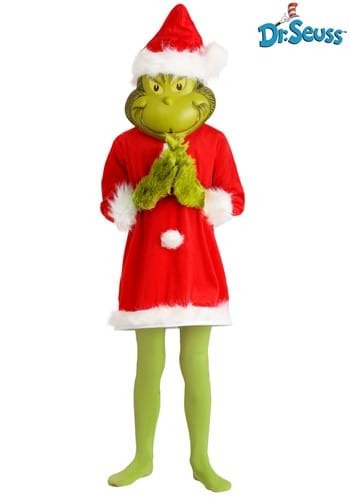 Now, just imagine how endearing the character would be if your child was the one playing that mischievous Grinch’s role! 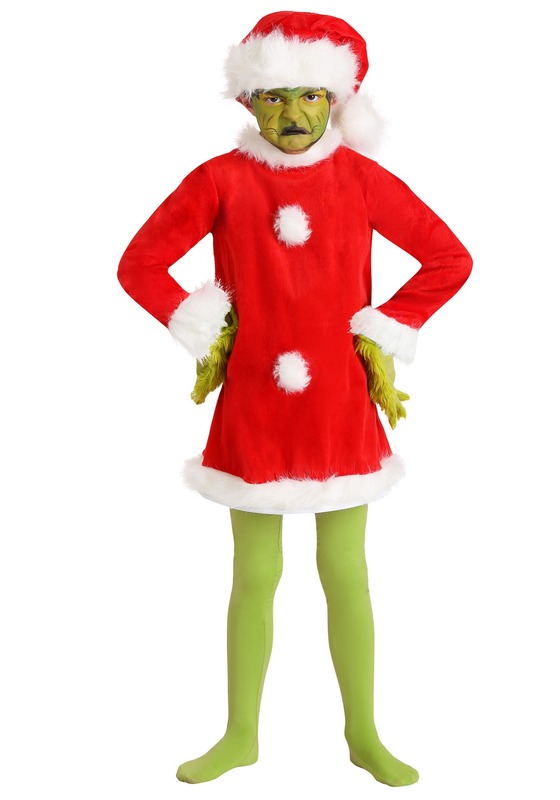 With this Grinch Santa deluxe costume for kids, your child can become the classic character. 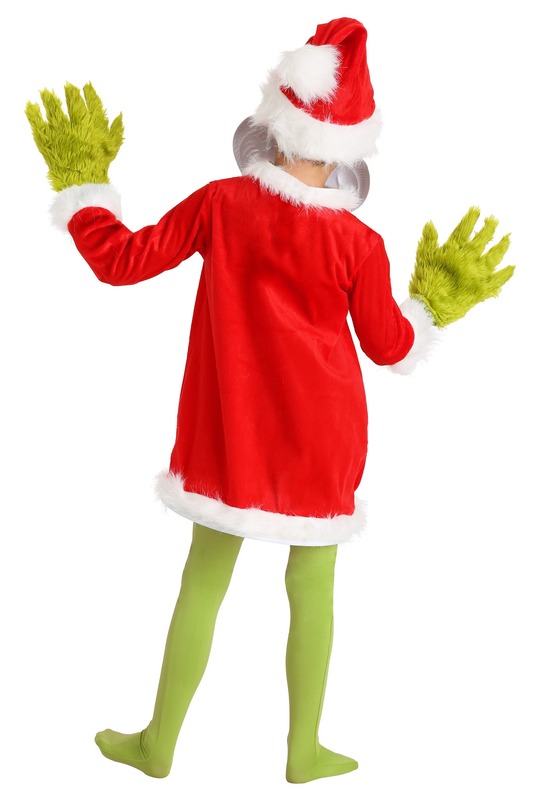 This officially licensed costume transforms your child into the iconic Dr. Seuss character. It comes with a red velour tunic that has white faux fur accents around the bottom and around the wrists. The hemline has a wire inside to help maintain the shape. The mitts are covered in green faux fur and each one has a ring of white faux fur around the wrist. 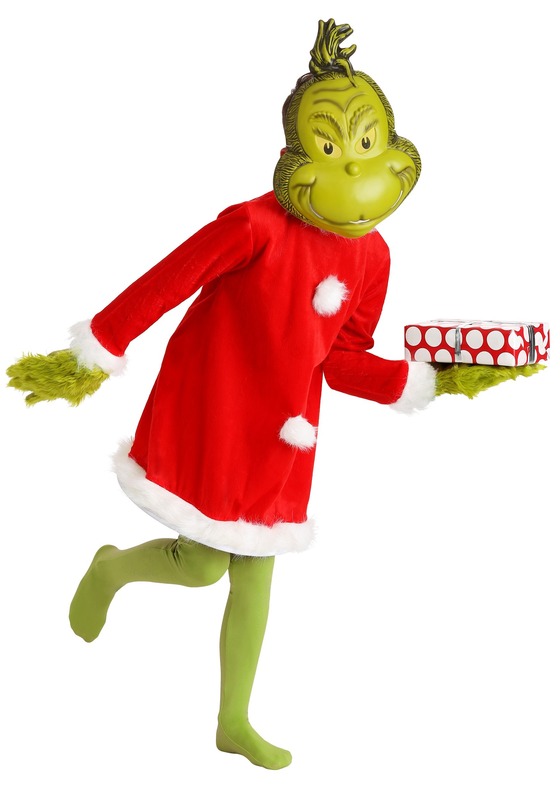 It also comes with a molded plastic mask, which is shaped like the classic Grinch face from the book. It fits with an elastic band in the back and it even has mesh eye coverings for vision. It even comes with a red Santa Claus style hat! Combine it all together and your child will be looking like one cute little Christmas character. Whether your child is a big Dr. Seuss fan or you just want help put an even more adorable spin on the classic storybook character, this kids Grinch costume is a great look for your little one!